Italian Greyhounds are small Sighthounds full of energy and they need good exercise to work it off! A fit and healthy Italian Greyhound will need a minimum of one walk each day lasting an hour. If you can fit in two walks a day then all the better. Exercise is not just about expending physical energy, walking also satisfies the canine instinct to travel when hunting for food, as well as provide essential psychological stimulation for your Italian Greyhound – seeing different things, different smells and hearing different sounds. A well-socialised and balanced Italian Greyhound loves to play in the great outdoors and meet other dogs. Due to their diminutive build, and the fact that some Italian Greyhounds believe themselves to be great big scary dogs, caution should be exercised with large breed dogs as a playful game of chase could easily lead to a nasty accident if the big dog crashes into the small and delicate frame of an Italian Greyhound at full speed. Off lead exercise is advisable if your dog is responsive to your recall, and only in places where you can let your dog off lead safely. Don’t let your Italian Greyhound off lead near busy roads or near live stock. 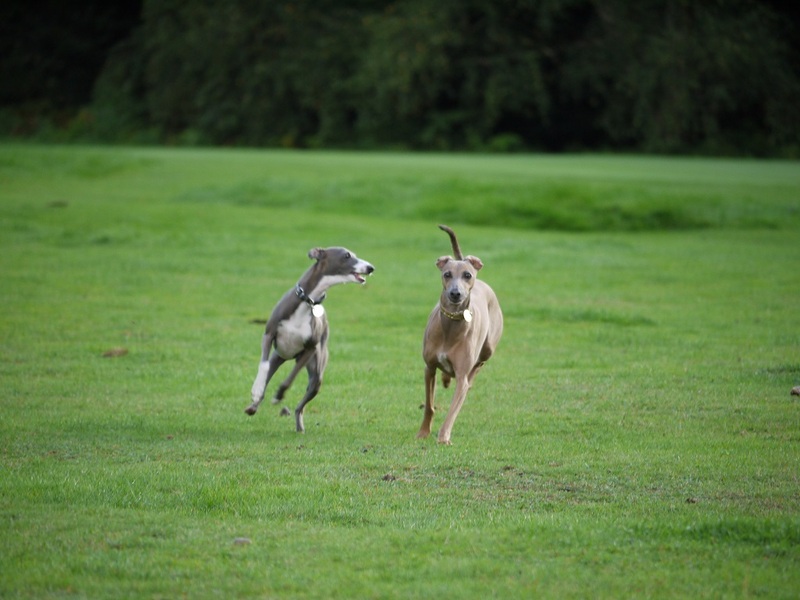 And if the ground where you are walking is very rutted or if there are lots of rabbit holes, think very carefully before allowing your Italian Greyhound to run free – these little dogs can run very fast and uneven ground can cause them to lose their footing very easily and lead to injuries including broken legs. Italian Greyhounds are Sighthounds by nature which means that they have high pray drives and an inclination to chase anything that moves – particularly rabbits and squirrels. Even Italian Greyhounds that are usually responsive to their owner’s recall are unlikely to come back if they are in mid-chase. Some Italian Greyhounds, particularly if they have not had the best start in life, can be anxious or fearful. If something spooks an Italian Greyhound it could bolt so owners of dogs that are fearful or nervous should take extra care to be aware of anything that might upset their Italian Greyhound. When exercising your dog, make sure you do so responsibly and make sure that you have full control over your dog at all times. ID Tag: The law requires that all dogs in public places in the UK wear a collar with an ID tag which has the owner’s name and address stated on it. The minimum requirement for an address is post code plus house name or number, and we recommend that you also put your mobile phone number on the ID tag as well as your home number. Sighthound Collar and Lead: a Sighthound style collar is usually the best option for an Italian Greyhound. Sighthound Collars are cut with a extra-wide front to relieve the pressure of the collar on the long delicate neck of your Italian Greyhound and also make it harder for your dog to ‘slip’ the collar. Some people use extendable leads to walk their dogs but many Italian Greyhound owners steer clear of them because of the injuries that can be sustained problems by dogs that can accelerate extremely quickly. If an Italian Greyhound takes off at full speed on a long extendable lead, the backlash can be severe and result in serious injuries. Harnesses: an alternative to a collar is a harness. The Italian Greyhound body shape and proportions means that it’s very important that the harness fits the Italian Greyhound correctly. The standard nylon harnesses that you find in most major pet stores are not suitable as they more often than not will rub and chaffe the Italian Greyhound, sometimes causing painful ‘burns’, cut and blisters. 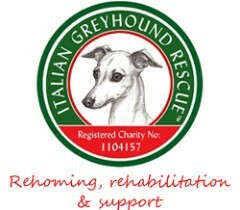 There are several specialist makers of harnesses for Italian Greyhounds in the UK and online. Poop bags: always carry poop bags and clean up after your dog.